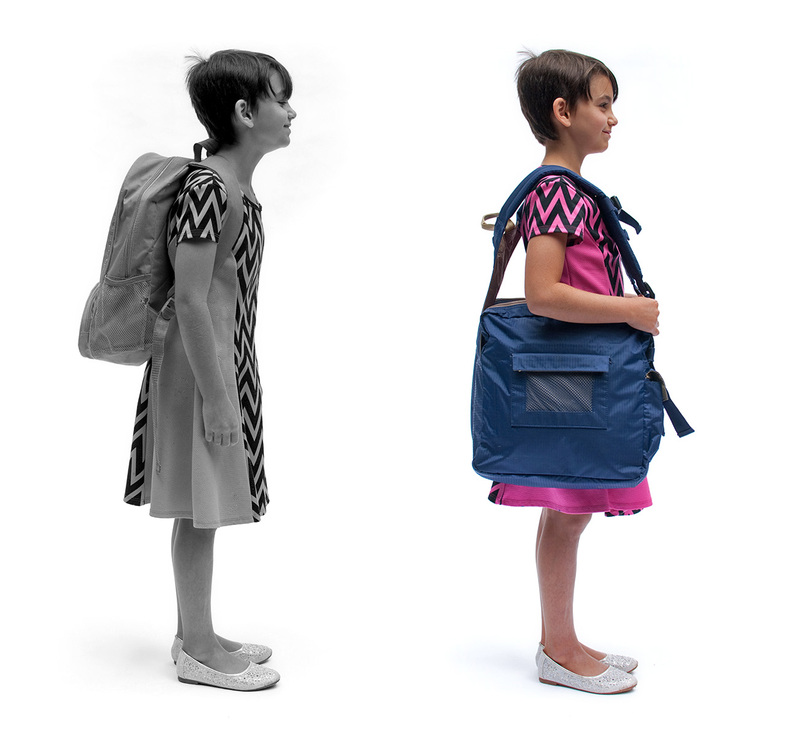 Children no longer need to be in pain bent over with their heavy backpack. NOW there is a solution, designed by a physical therapist. 40% Bulk order discount to any school organization for your students. Minimum of 10 BackTpacks per order per school organization. Custom colors available in minimum quantity. Must be ordered by phone at 503-365-7554. Order your new backpack alternative online, by phone or mail. Plus, there are retailers near you. Designed by a physical therapist, BackTpack is an ergonomic backpack that reduces pain, trains good posture and encourages a healthy lifestyle. From cyclists, to students, photographers, record collectors, travelers, athletes, visually impaired and more! BackTpack makes carrying easier for everyone. "Fun to pack so light and carry so easily. Thanks for your work for healthy strong backs."